For a comfortable sit-down reception we would suggest no more than 80. 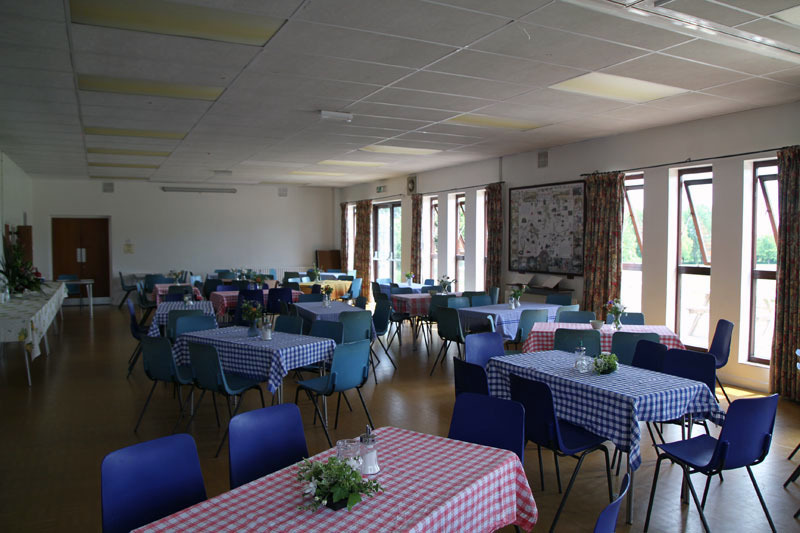 To help you plan how you can utilise the space in the hall, click here to download a planning kit (Adobe Acrobat pdf format) which has a plan of the hall and table and chair combinations you can cut out and use to work out your layout. Partitions, indicated on the diagram by zig zag lines, can be used to section off two small areas or one larger area at one end of the hall. Two sets of French doors open onto the terrace where there are three picnic tables. 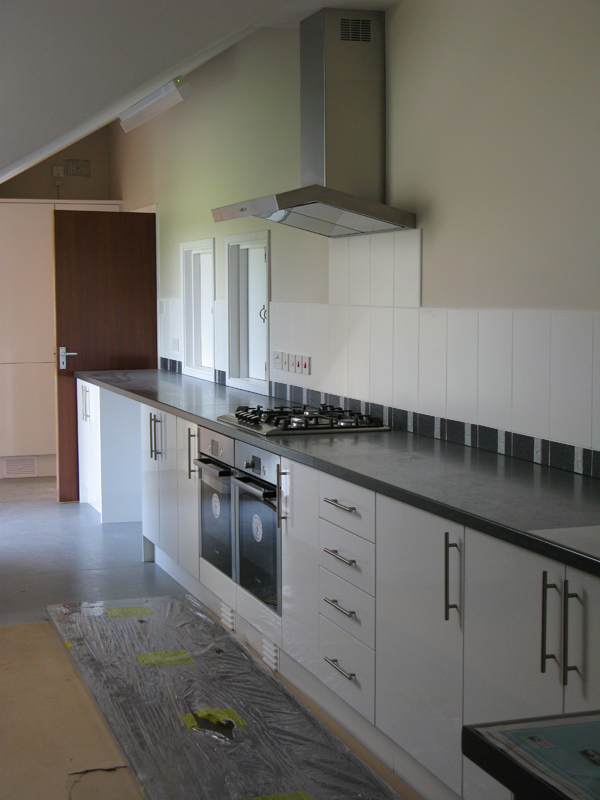 There are two serving hatches from the kitchen. Dimmable lights can be used to create atmosphere. A water heater to provide boiling water. 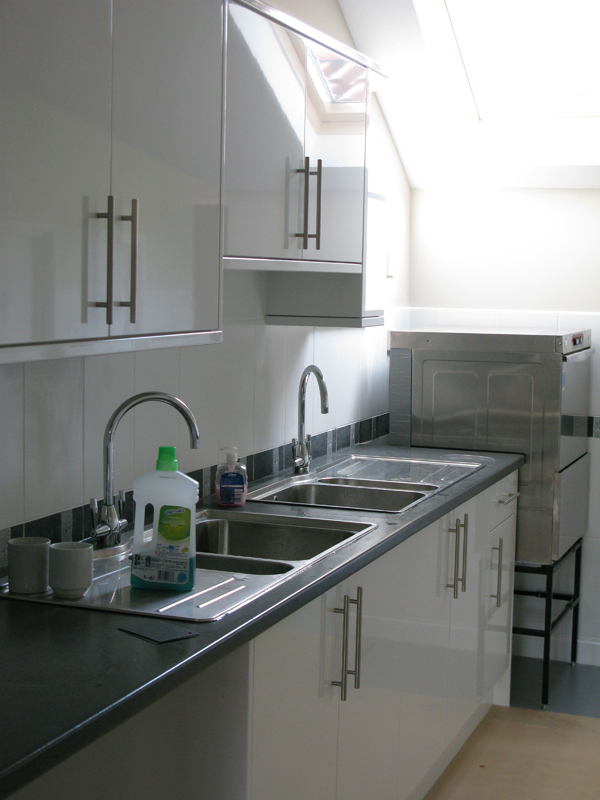 The kitchen has a door leading into the hall and an outside door leading to a small paved area where wheelie bins are kept. The terrace measures 6 metres x 20 metres It is equipped with three picnic tables and a bench. There are several power points. The terrace overlooks a large recreation ground where there is a recently upgraded (2017) children’s play area with a suberb variety of climbing frames and swings plus a pirate ship! The terrace is a public space but it may be used in conjunction with the hall by arrangement on the understanding that the public continue to have reasonable access across it. The men's toilet has two urinals and two cubicles. 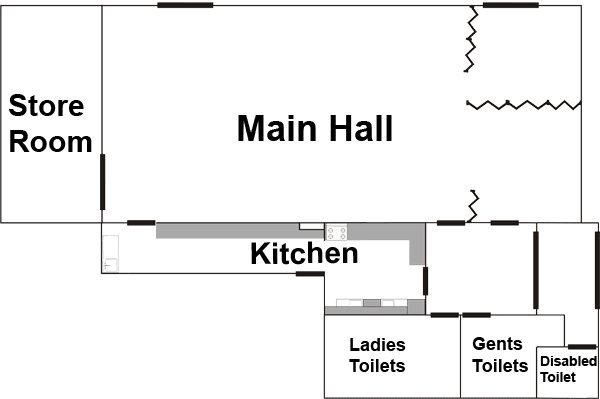 The women's toilet has two cubicles. There is a fully equipped disabled toilet, including baby changing table. 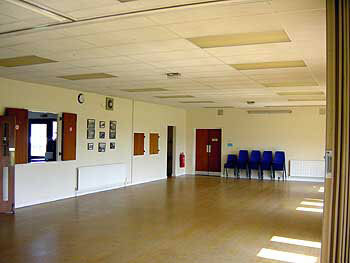 All areas of the hall are accessible to wheel chair users.